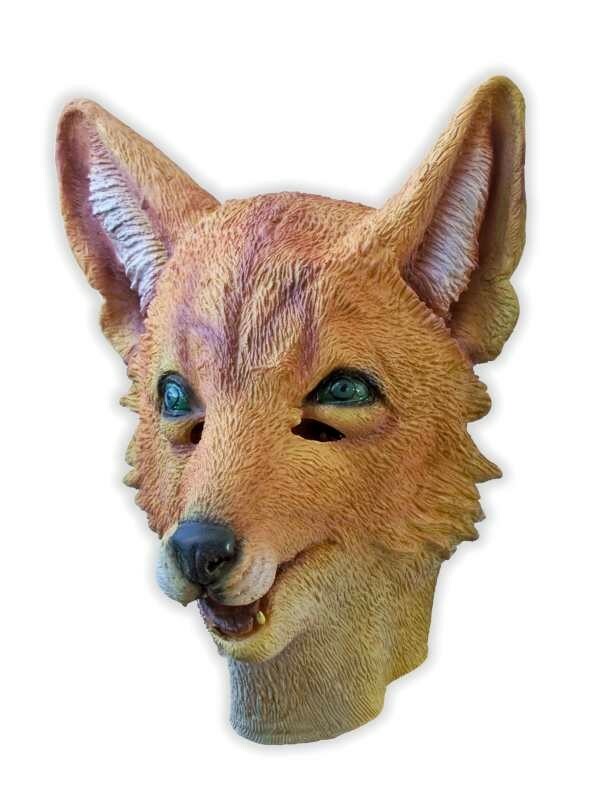 Fox mask, made from latex. Hand made animal mask made from natural latex, with intricate detailing and textures and realistic paintwork. This full overhead mask will fit most adult heads (unisize). Mask is not suiteable for children, do not use when allergic against latex.